Harcourts Drouin and Bunyip are fortunate to have, Rural Specialist Graham Austin as part of the sales team. 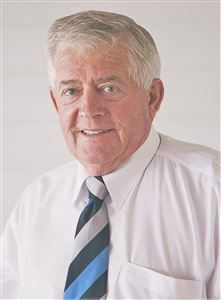 Graham was born in Drouin, has lived and farmed here most of his life and been selling farms in the Drouin area since 1981. Being involved in the day to day running of farms means Graham understands the realities of farming, the seasonal changes, the trials and the triumphs and he is also well versed in soil types, farm management and productivity – indeed, few locals would understand the local farming scene better! Living local for such a stretch also means he has a great network of contacts within the Drouin and district farming community and beyond – an undeniable plus when purchasers are looking to buy or sell their land. Combine Graham’s local farming knowledge with Harcourts internet market reach via and marketing and you will quickly understand the advantages of discussing your rural and farm real estate plans with Graham.